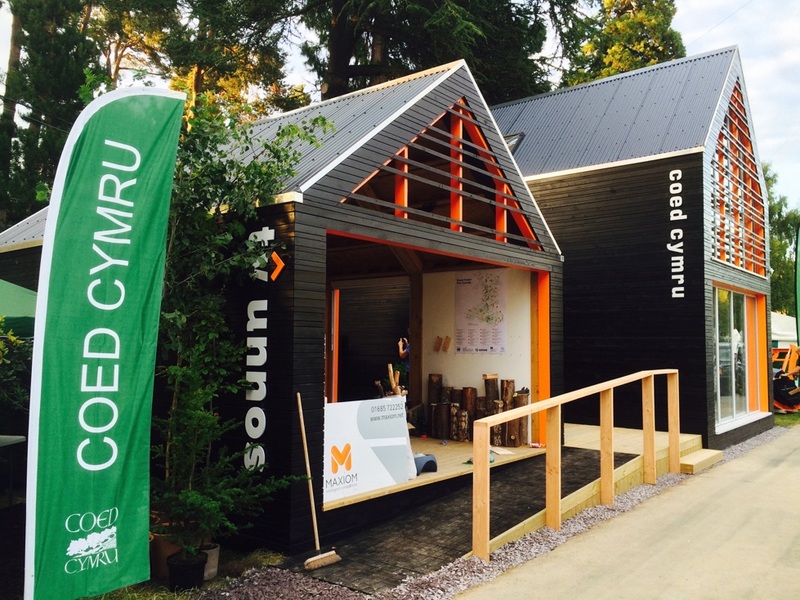 Maxiom has been working on the new pavilion for Coed Cymru at the Royal Welsh Showgrounds since the end of April 2015. 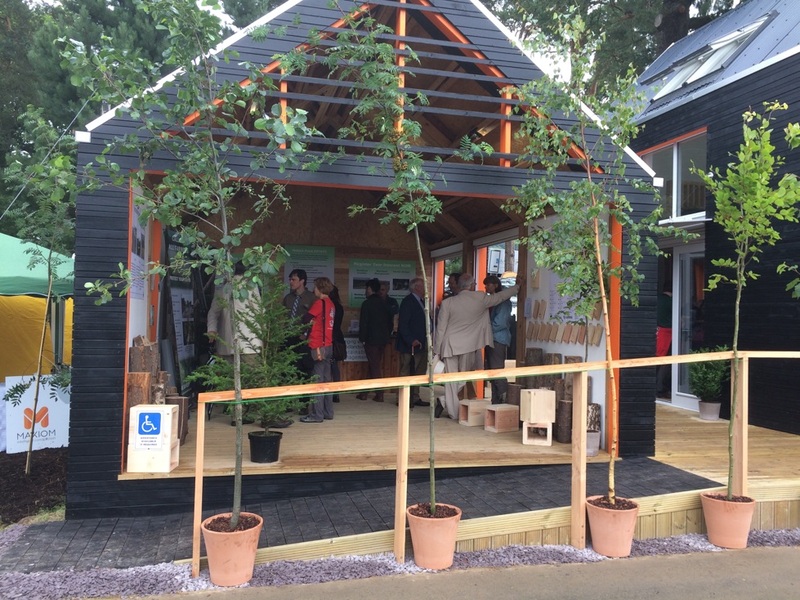 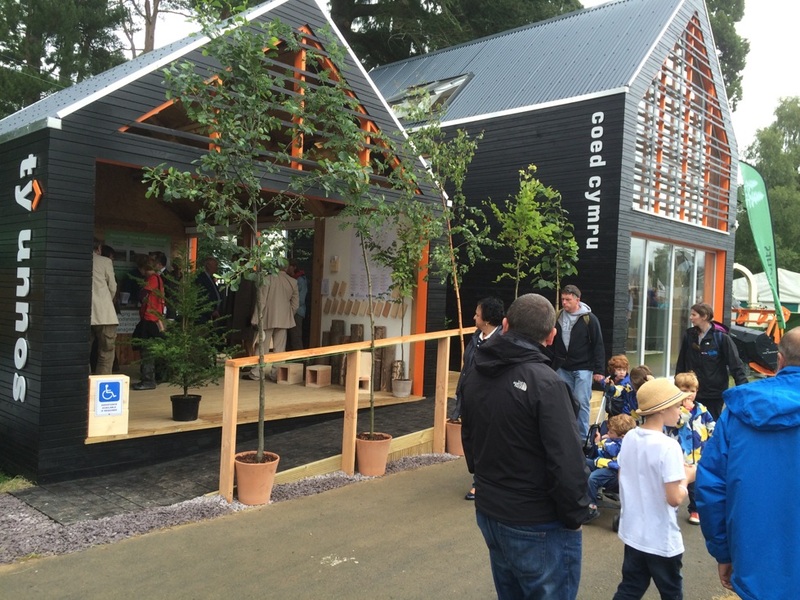 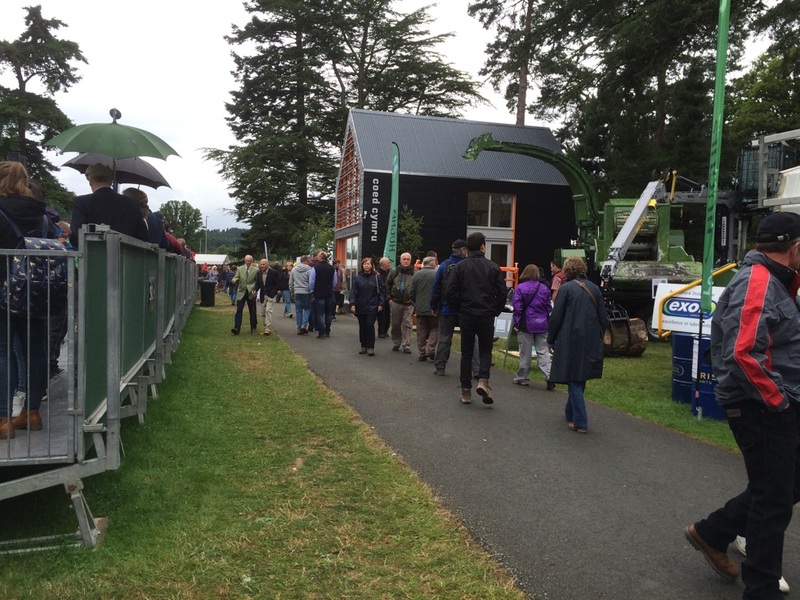 Made from homegrown Welsh timber the new Ty Unnos building stands proudly in the forestry section of the show-ground. 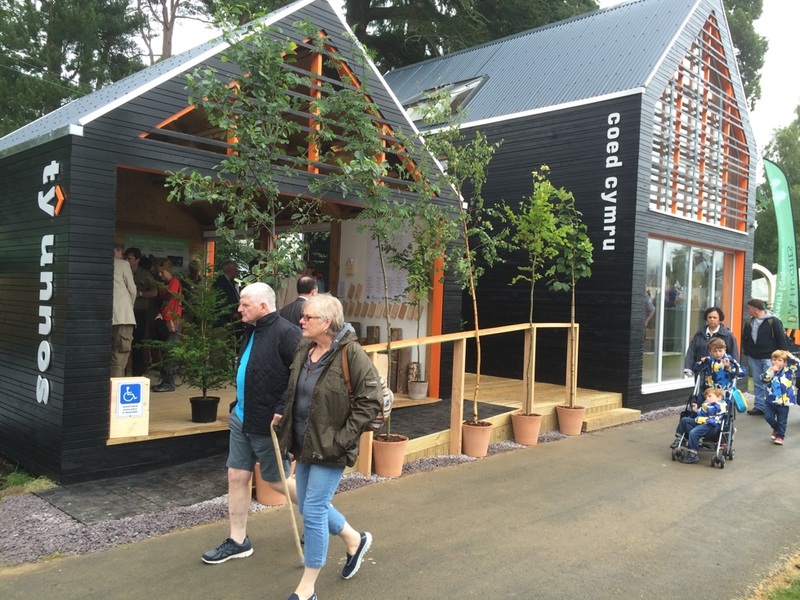 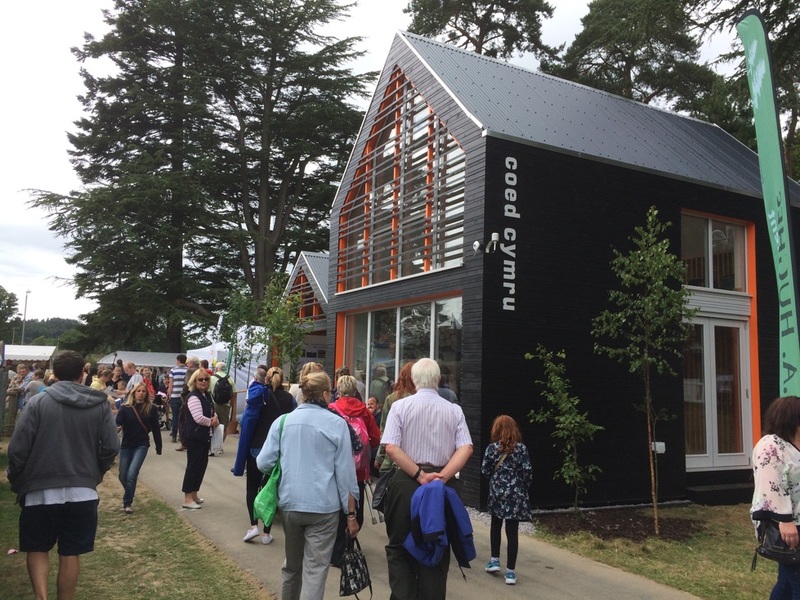 With its flash of orange and fully glazed front facade, the black cladded structure is a must see at this years Royal Welsh Show. 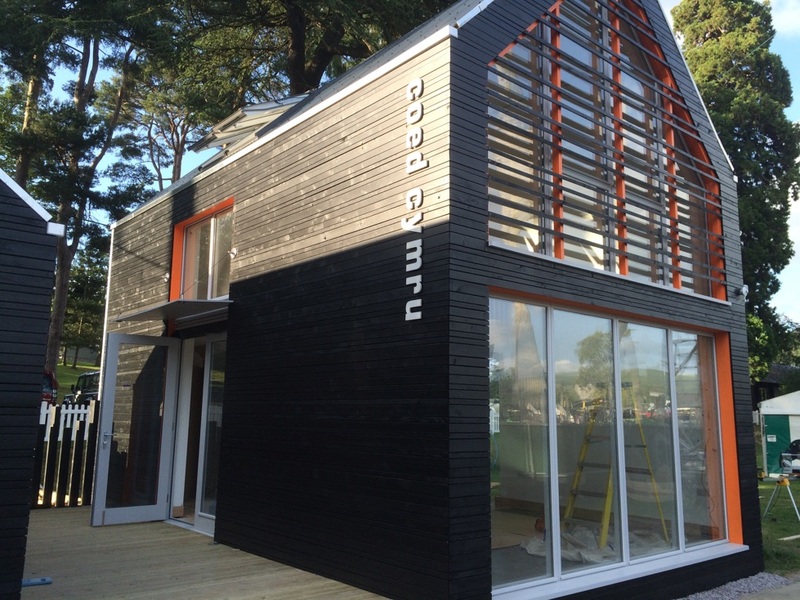 The fabulous new structure features the Ty Unnos timber frame box beam system. 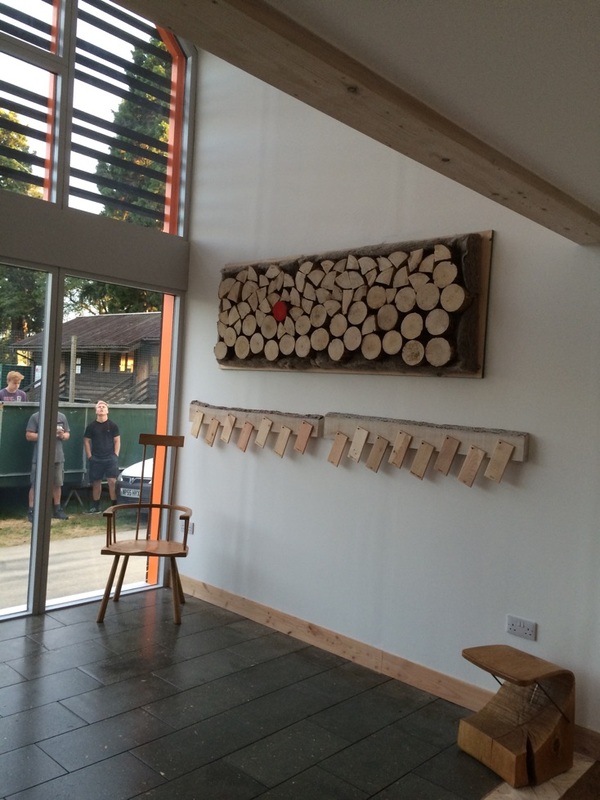 The frame was erected in a single day and and wrapped in a breathable membrane making it water tight. 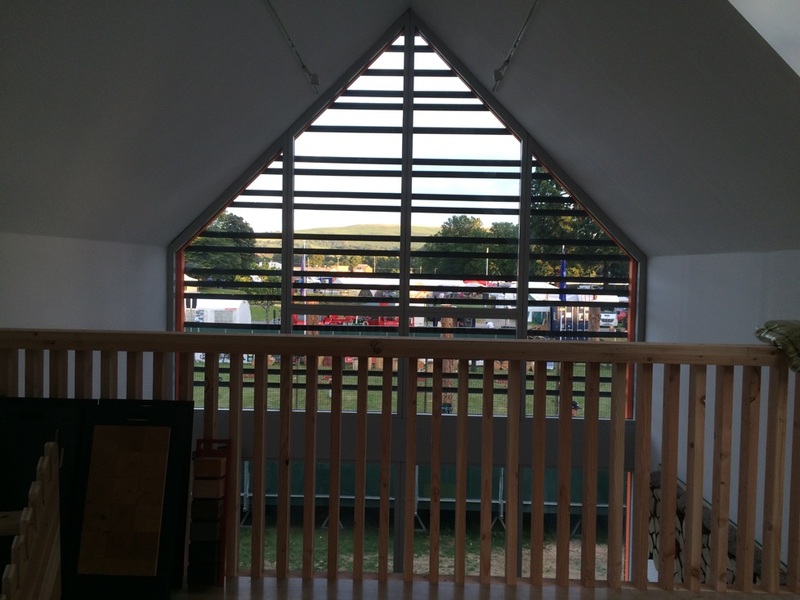 With vaulted ceilings, mezzanine floors and glazed curtain walls this system offers features you would normally receive from an oak post and beam structure. 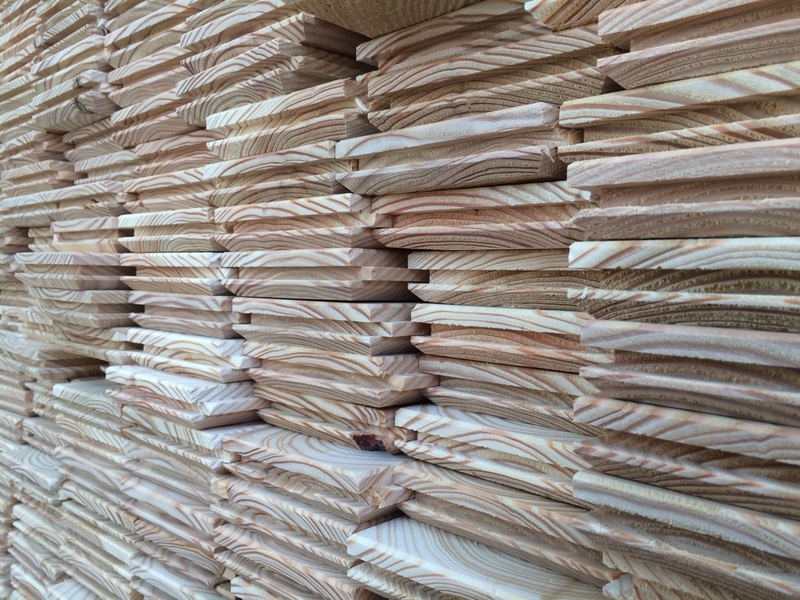 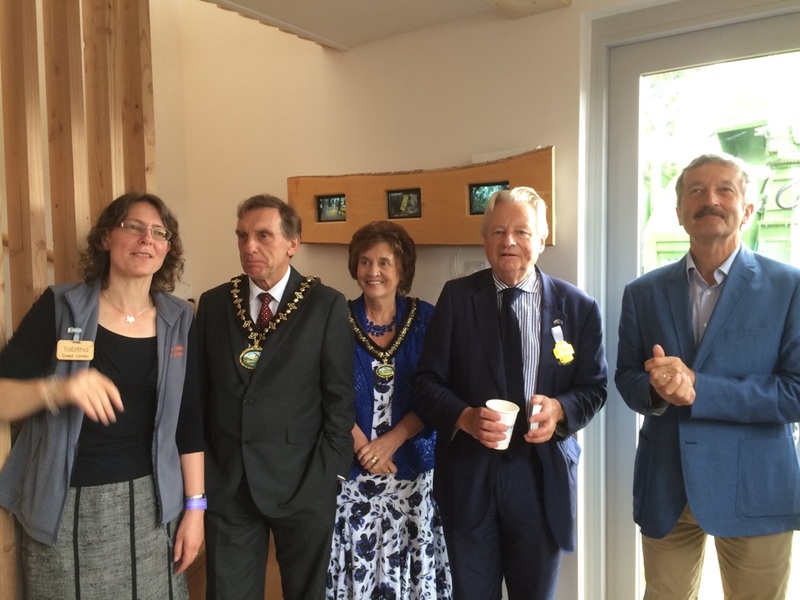 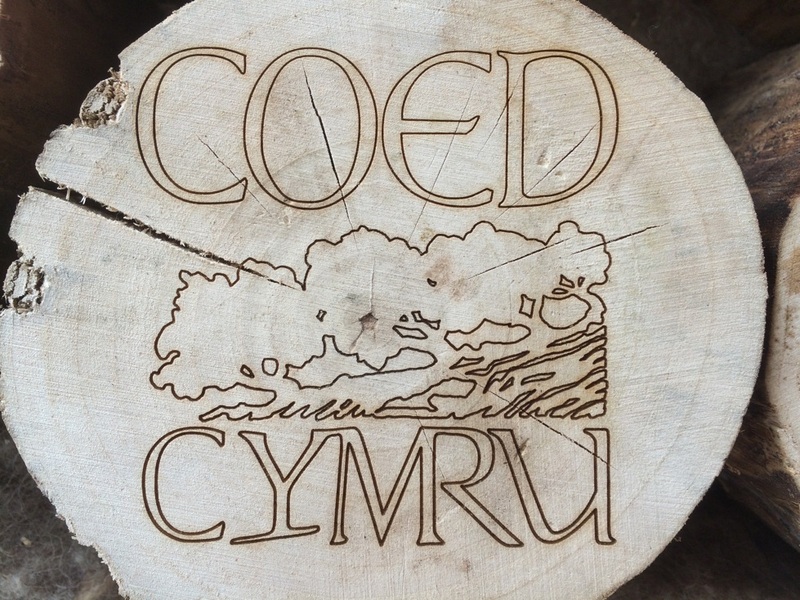 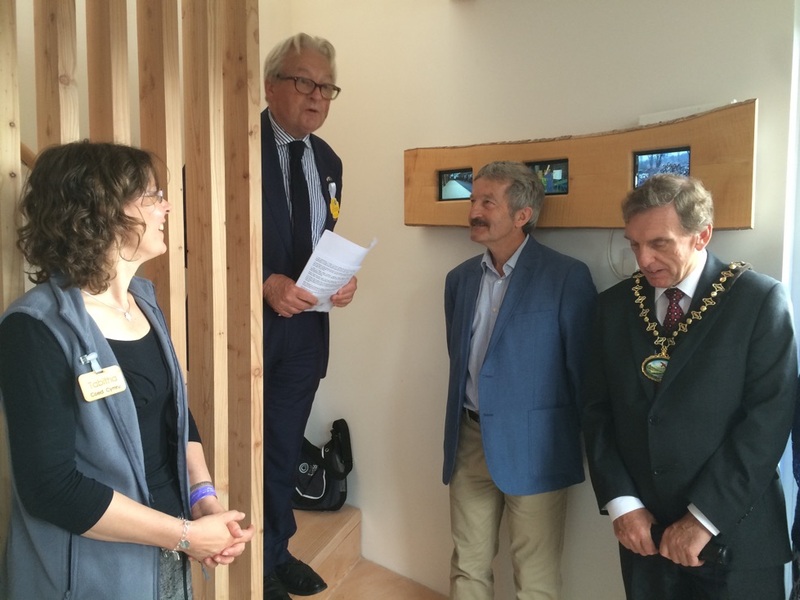 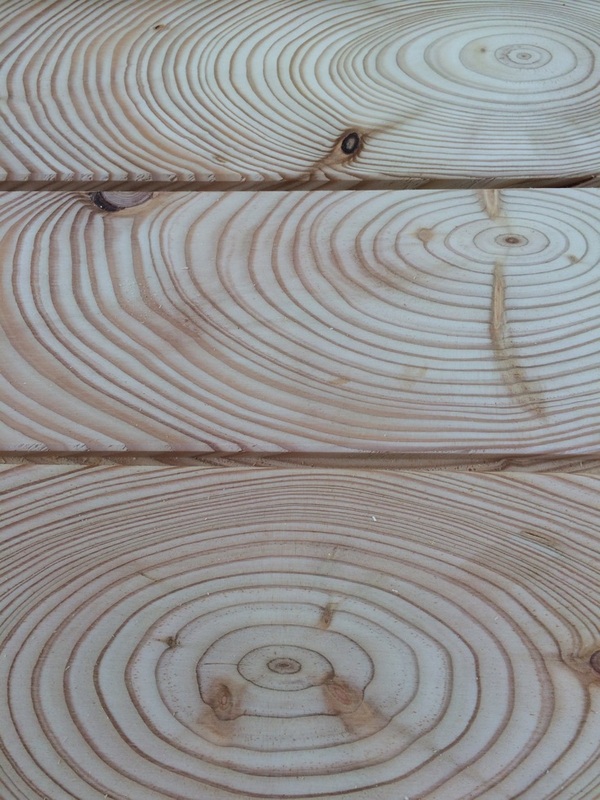 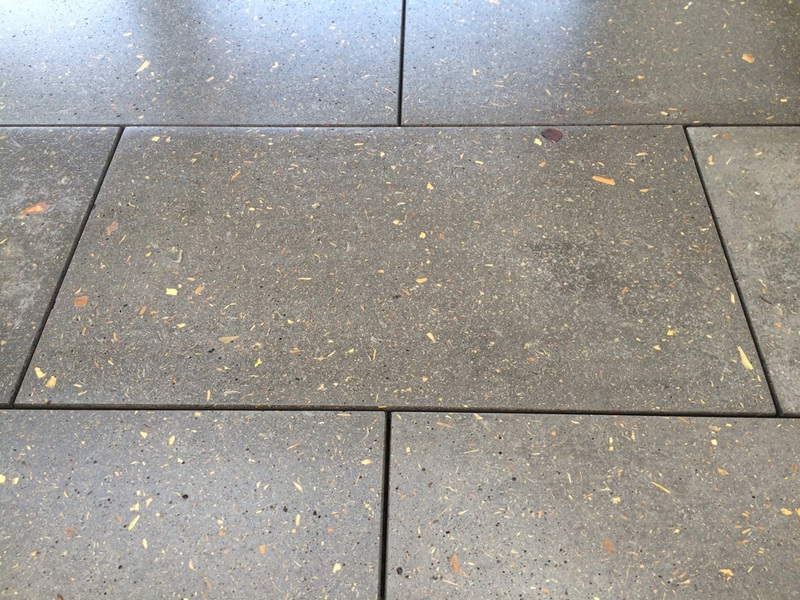 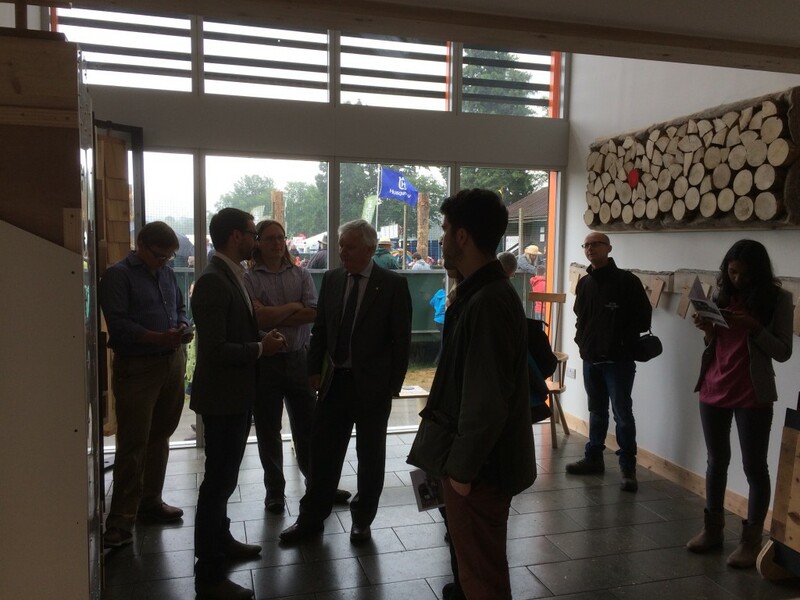 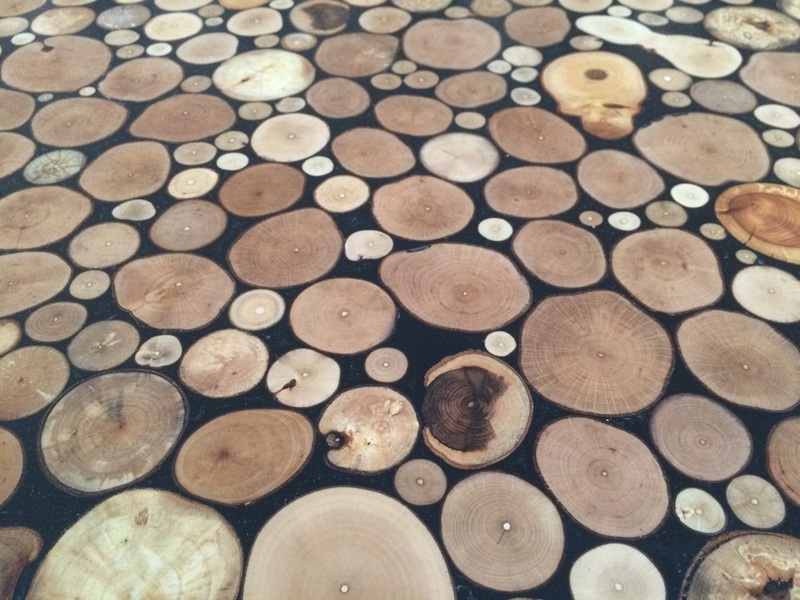 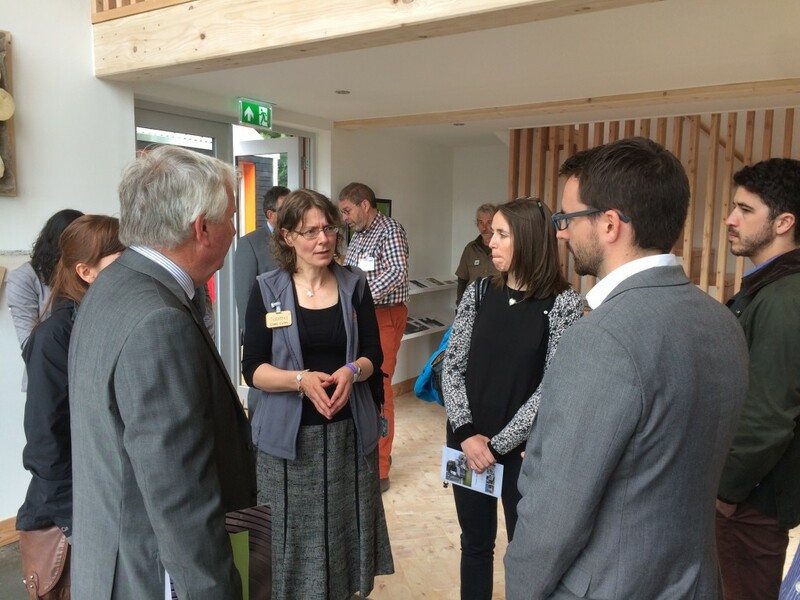 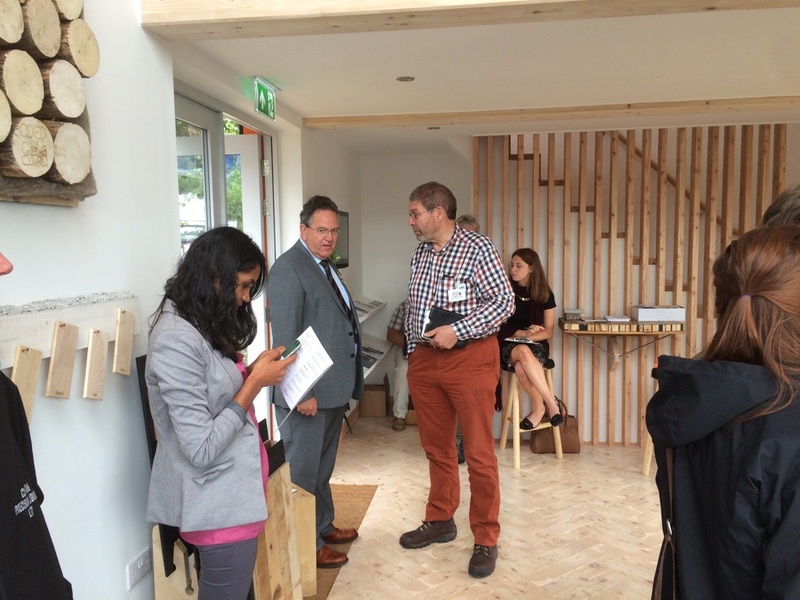 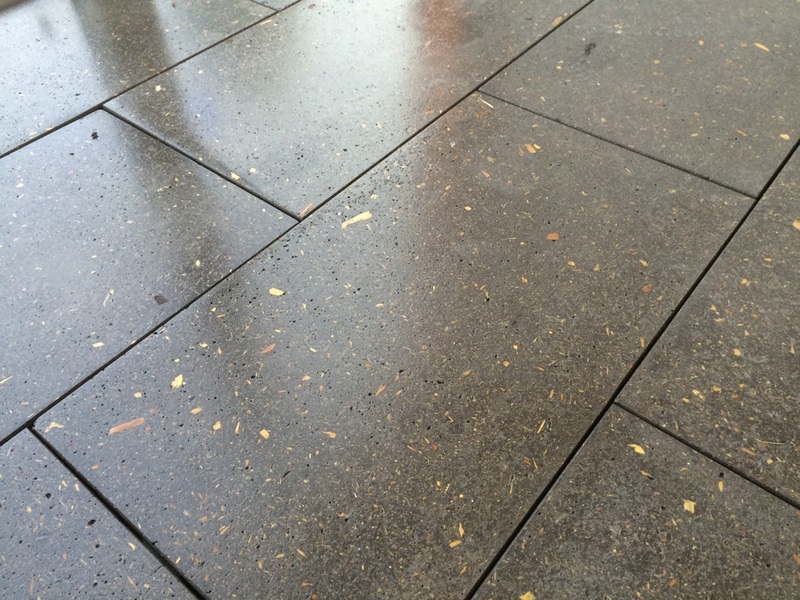 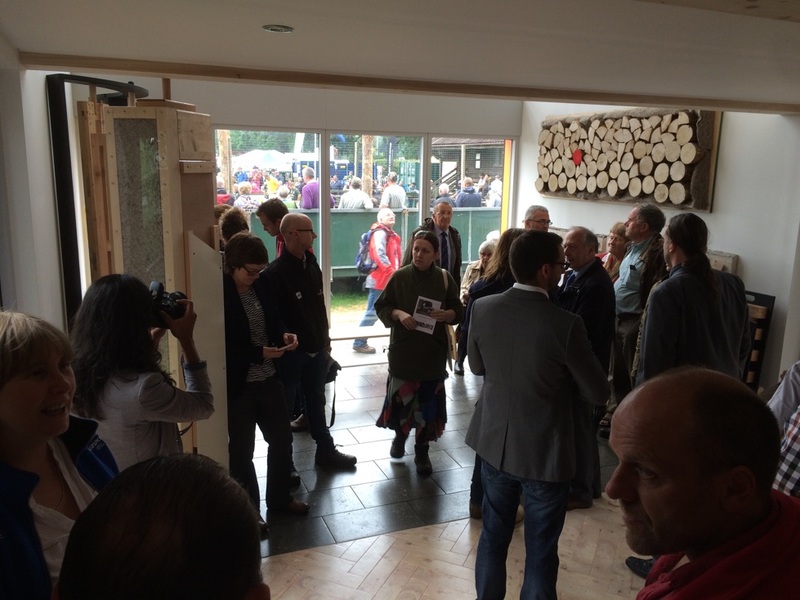 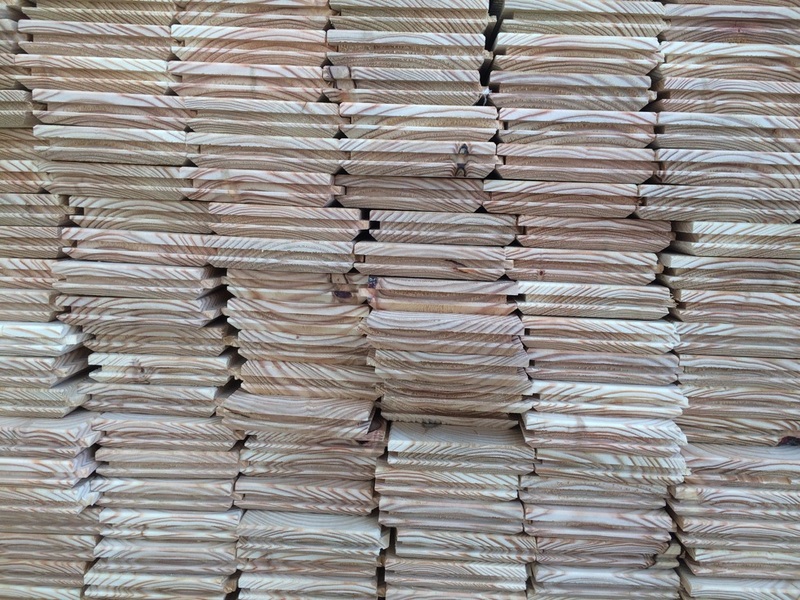 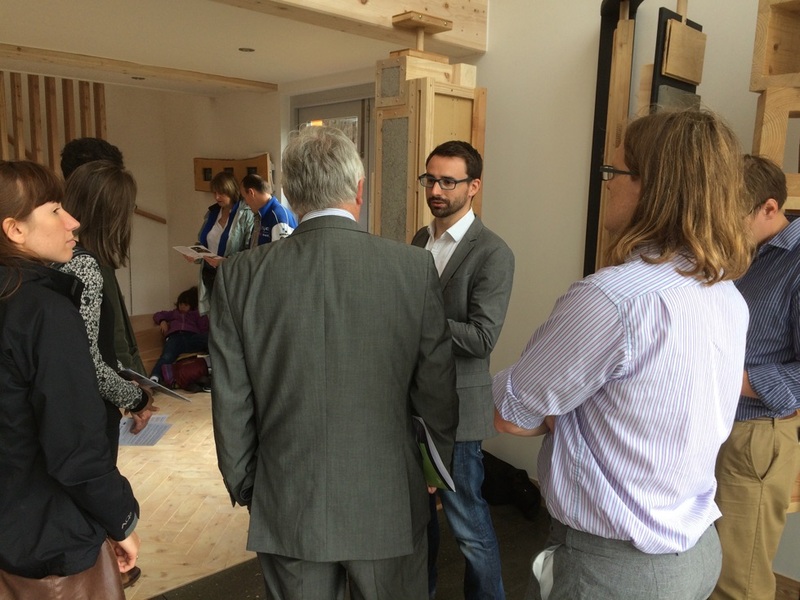 The system is designed to make good use of welsh wood and make architectural features more accessible in new homes. 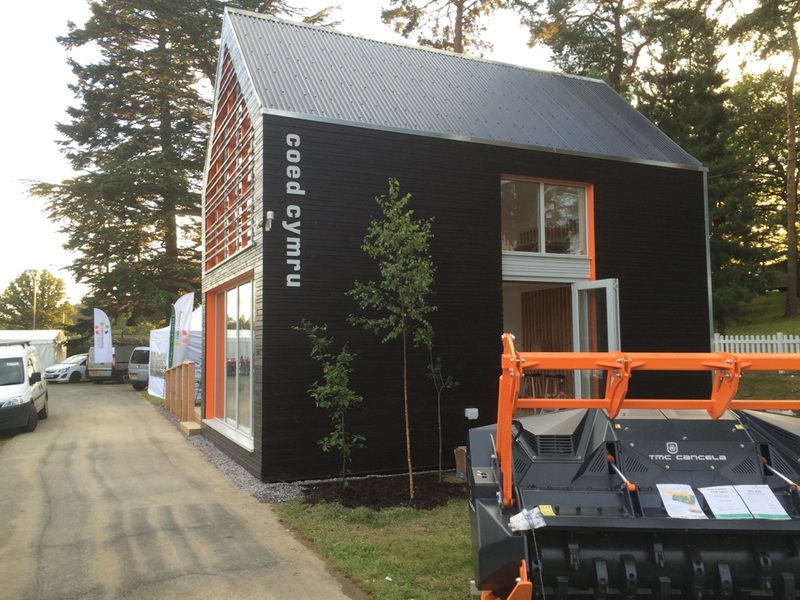 As well as being used for homes the TY Unnos structure offers excellent solutions for Home Offices in gardens, Carports, Holiday lets and other such residential structures, whilst also offering an excellent alternative to porta-cabins in schools and other more commercial out buildings.